Need help studying for your finals? 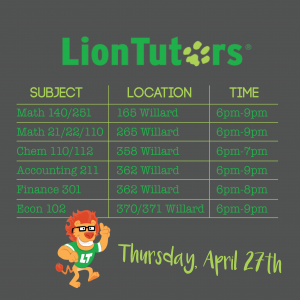 On Thursday, April 26th LionTutors will be offering free study help for multiple different subjects! 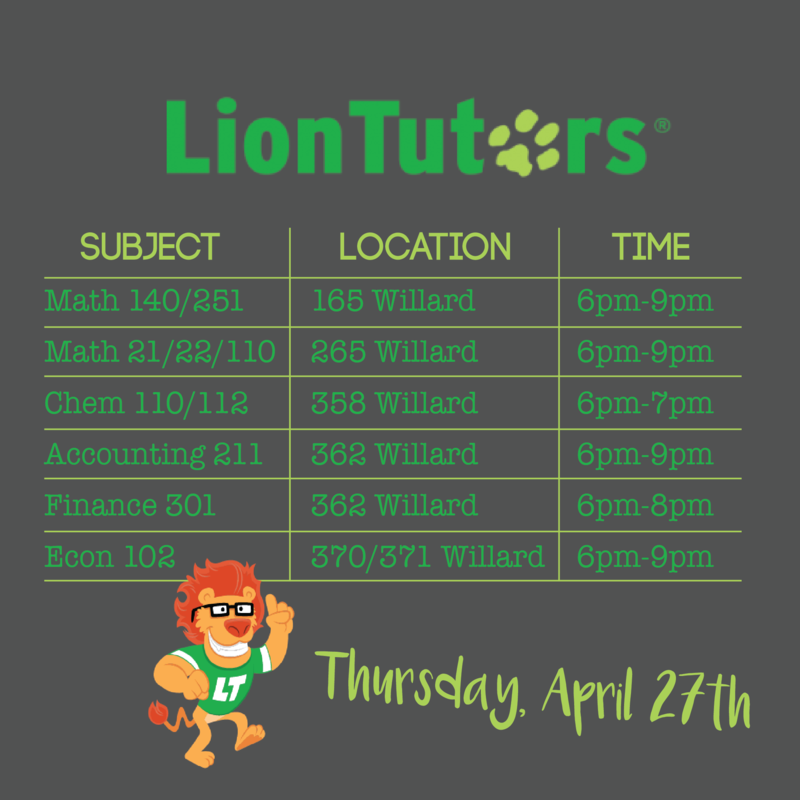 Check out the table below for subjects, locations, and times. Don’t forget to bring your study materials!